We train to make Loss of Control accidents a thing of the past. "Loss of control continues to be the biggest killer in general aviation"
Inverted Concepts offers focused pilot training developed specifically to mitigate the risk of Loss of Control In-flight, aviation’s largest threat to air safety, through the implementation of Upset Prevention and Recovery Training and Advanced Stall/Spin Training. Training like you've never experienced before. Through our guided training method, we put you in charge of your learning. We don't ask you to memorize anything. We don't lecture. We present the facts and guide you to discover their implications. This is involved learning, and you're going to love it! Upset prevention and recovery training is unlike any other type of training. Done correctly, it offers unsurpassed ability to combat situations that lead to loss of control accidents. We base our training on the industry standard Airplane Upset Recovery Training Aid and ICAO recommendations, applying those lessons to real life examples of loss of control accidents. Your time is too valuable to waste on hypothetical scenarios. Aimed at reducing Loss of Control accidents, this program is Ideal for any pilot. This 2 day program incorporates hours of ground training and four flights to teaches pilots to identify situations likely to lead to a loss of control and take action to return to a safe flight condition. Pilots are then trained to return aircraft from any unusual attitude using a simple and nearly fool-proof method. All pilots receive stall training, yet stall accidents continue to occour. This 2 day program introduces pilots to a wide variety of stalls, with a special emphasis on understanding the stability characteristics of the aircraft at high angle of attack. Over three flights, pilots will experience dozens of stalls and spins, gaining an understanding and appreciation of stall dynamics missing in traditional flight training. 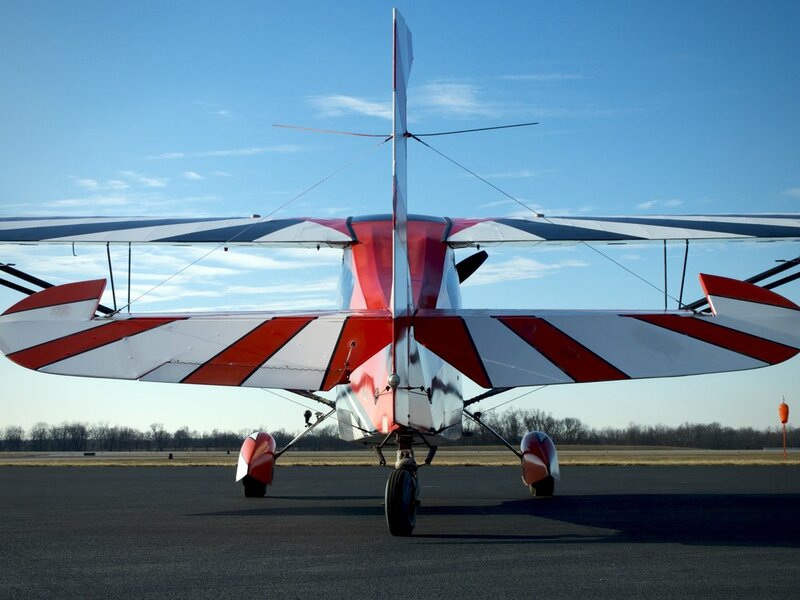 Experience rolls, loops, and inverted flight in this introductory course designed to introduce pilots to the world of aerobatics. This half-day corse is intended for anyone that wants to improve their stick and rudder skills, see the world from a new perspective, or just have fun! No other type of training can improve precise stick and rudder skills quite like tailwheel training. Learn the art and science of coordinated flight with careful rudder use. Improve your crosswind landing technique; a skill that perfectly translates to nose wheel aircraft.Learn more about all the benefits of tailwheel training at BoldMethod. Earning his private pilot certificate in 2006 and then completing his commercial and CFI certificates in 2011, Dennis has accumulated over 1,000 hours of instruction given and nearly 2,000 total flight hours. As Cirrus Standardized Instructor Pilot and a chief flight instructor at a large 141 flight school, quality of training is his first priority. Beginning in 2012, Dennis has been flying aerobatics in various aircraft including Citabria, Decathlon, and Pitts, as well as gliders. Dennis has spent several years as an active corporate pilot flying various high performance single-engine aircraft, covering most of the US and flying in all weather conditions. These unique experiences translate to an instructor that is familiar with the challenges pilots face in the real world, with the understanding of how to solve those challenges, and the ability to effectively teach those solutions. 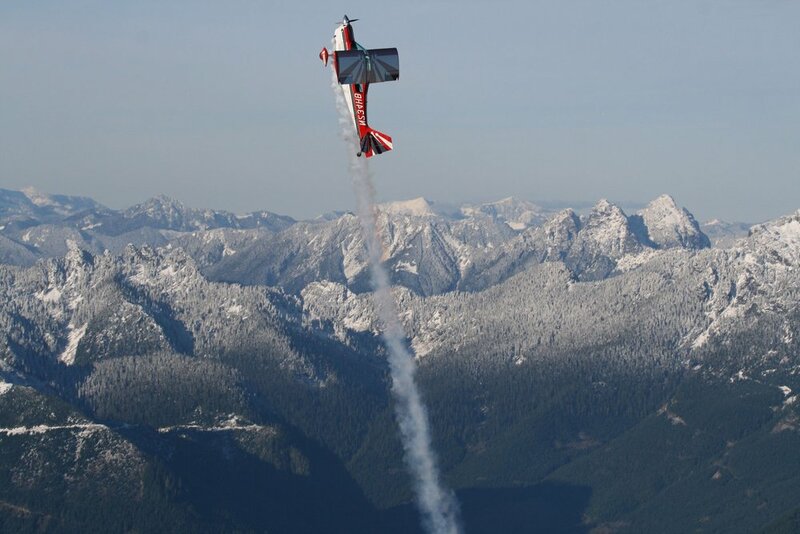 The Super Decathlon is the perfect balance between aerobatic capability, and docile handling. It's characteristics replicate those of many modern high performance aircraft, making it an ideal training platform for pilots flying a wide variety of single engine aircraft. While we structure the training maneuvers around the performance limits of the aircraft you typically fly, the Super Decathlon's +6 -5 G limits allow a large safety envelope. 180hp and 1800 pounds give a climb rate of over 1,100 feet per minute, making the climb to altitude quick and efficient. "The most fun I've had learning in an airplane, the most beneficial too. I never realized how crucial this training could be, having never been in a spin before. I highly recommend this to new and seasoned pilots alike because it could be the difference in life or death." "My advanced stall/spin training was easily the most fun I've had in my flight training thus far! Also I probably learned more on these flights than any other flights in the past 350+ hours." "If you have never done any UPRT training, you should highly consider doing it. I'm confident that I have learned life saving lessons that if I ever find myself in a similar situation that I will make decisions that get me home to my family and get to fly another day." Just fill out the form and let us take it from there!